After a hearty homemade breakfast in Croton-on-Hudson, we piled into the Honda Pilot and set our GPS course for the 50-mile Route 90 Scenic Byway sale in Central New York. This annual July event began in 1989 as a means to draw visitors to the rural east side of Cayuga Lake, which is far less traveled than the vineyard-lined western edge. S & I first learned about this event in our home state during last year’s road trip through the South for the World’s Longest Yardsale. 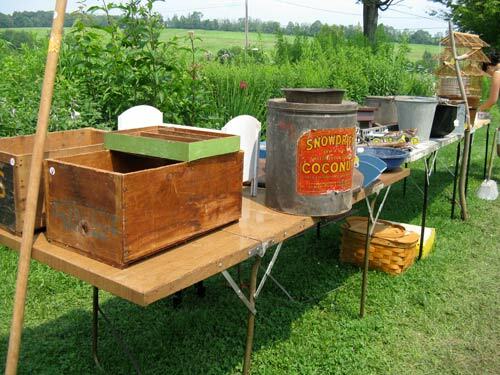 An antiques dealer near the heart of the 127 Corridor Sale tipped us off to the similar event near New York’s Finger Lakes that he had participated in just before setting up shop in Jamestown, Tennessee. Hmm: shorter, more manageable, closer to home… I think it was pretty much decided last August that we’d be making the trip upstate this year. 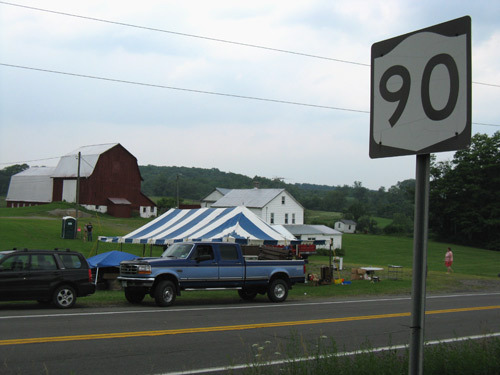 The Route 90 sale wends through the historic farmland of Cortland and Cayuga counties, from Montezuma in the north to Homer in the south. Along the way, there are bucolic fields of corn and what we later determined to be soy, a few picturesque small towns, and several less-picturesque trailer parks scattered along the shores of Cayuga Lake. Just a few hours north of New York City, it’s an entirely different world. 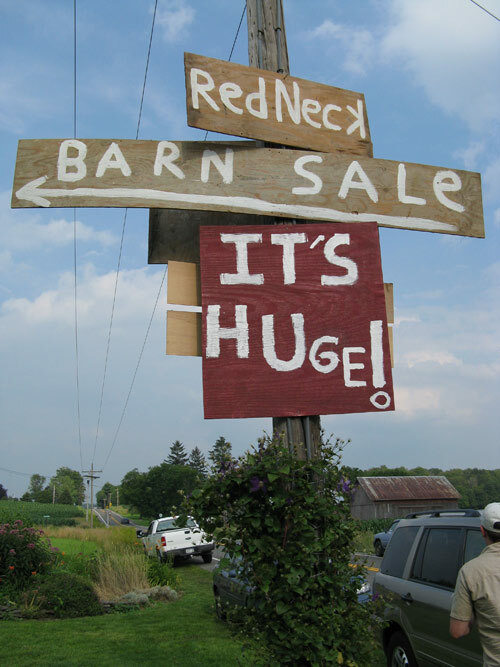 We started our shopping at the southern end of the route, stopping in at a few family-run barn/garage sales en route to the fields of dealers we felt sure to come across throughout the weekend. Except such fields of treasures never materialized. Not today, anyway. 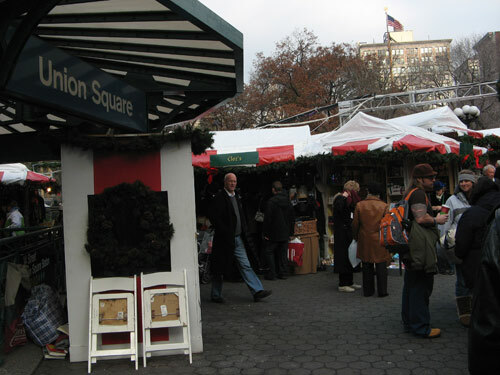 The sale, such as it was, was comprised of a string of garage sales of widely varying quality. On several occasions we rolled the car slowly past the roadside tables — drive-thru style — before opting not to even bother exiting the vehicle. 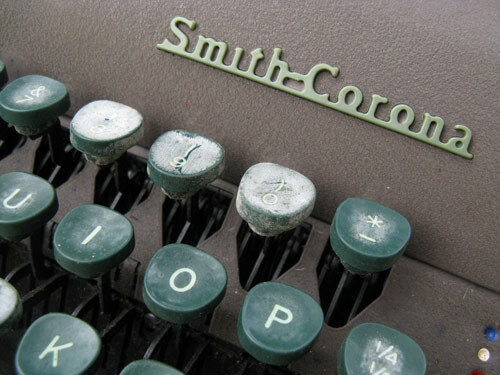 If I were to have made one purchase today, it would have been this vintage Smith-Corona. I’ve always been fascinated by old typewriters — those loudly clacking, hefty relics, so economical in their keys that the lower-case “L” does double-duty as the numeral “1,” and exclamation marks are made by typing an apostrophe over a period. This one was in reasonably good working condition, too — needing only a new ribbon. Oh no… is this what’s known as non-buyer’s remorse? No, no. Perhaps one day I’ll have a shelf lined with these in my library or home office, but for my now, it’s enough of a challenge just to find a place to keep the towering stacks of books in my apartment. 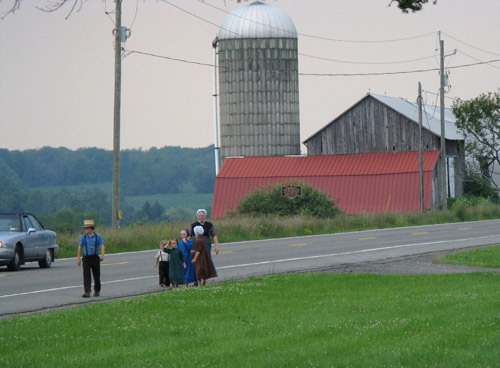 Amish family, walking the route. I snapped this from quite a distance away, with my 6X optical zoom — is that bad? Soon after taking the photo, as my friends and I were browsing a nearby barn sale, a flash thunderstorm rolled in and pellets of hail began to rain down from the darkened skies. I’m reasonably sure that was just a coincidence. 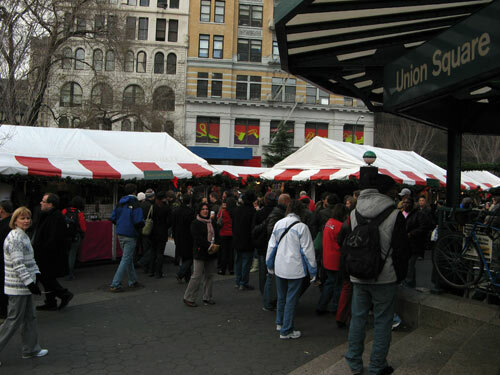 Check out the rest of the Route 90 Sale photos on flickr. 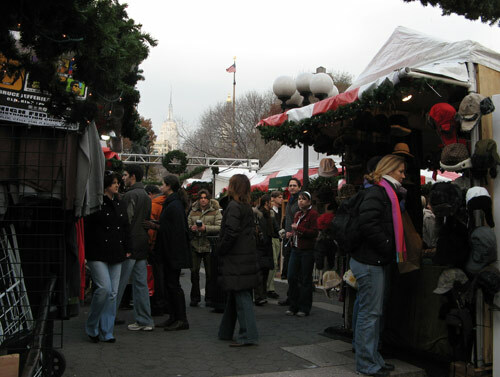 A little holiday shopping, a little holiday jazz. Rather unexpectedly, this turned out to be a very good day.